This pretty 1 acre garden at Plas-yn-Rhiw was revived by the Keating sisters in 1938 and nestles at the foot of Mynydd Rhiw Mountain. Plas-yn-Rhiw Garden has superb views of Hell's Mouth Bay. The garden is organic and is divided into rooms hedged with cherry laurel and bay which gives protection from the sea winds. There are many flowering shrubs and trees as well as good herbaceous borders. Old unused buildings are landscaped into the garden and there are boxed edged parterres filled with roses. 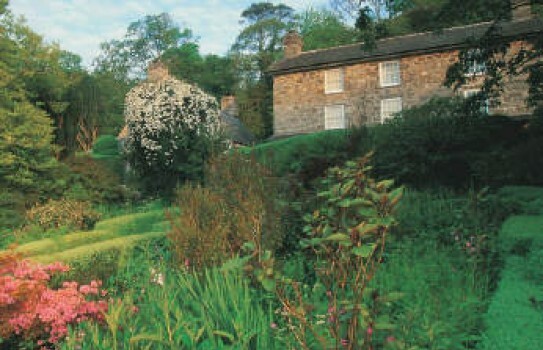 The charming 16th century Manor House is also open and was restored in the 1930s. Make sure you take time to visit it. Snowdrop openings - Snowdrop Weekends - Ring for details. NT 2019 Plas-yn-Rhiw House & Gardens open normally from mid/end March - see Plas-yn-Rhiw website for details. Ring for snowdrop openings. Gifts shop. Partial disabled access. Free entry National Trust members. If you want tofind places to stay near Plas-yn-Rhiw Gardens, why not stay in one of our recommended hotels. Each hotel has genuine guest reviews enabling you to book from anywhere in the world in total confidence. Not only do we feature hotels near the garden, we also feature hotels worldwide and at all major airports. Special prices up to 70% off standard rates as well as hundreds of exclusive deals. Look now - click here.